There are many lessons to be learnt from the European election results. But whether Europe’s spectacularly out-of-touch political and media elite do learn from them is a different thing altogether. Lesson #1: Left parties need to be radical and populist. The success of the anti-bail-out, anti-austerity party Syriza, who topped the poll in Greece, was one of the most eye-catching results of the election. Some would argue that Greece is a special case, but it was noticeable how a number of more establishment-friendly parties of the center-left failed to make the gains they should have. Despite Spain’s economic woes, the Spanish Socialists did very badly, losing nine of its 23 seats. They were hit by the support for Podemos (We Can), a brand new left-wing party, which got almost 8 percent, and the United Left bloc which saw its support soar from 3.7 percent in 2009 to 10 percent this time. Questions are being asked of British Labour leader Ed Miliband after his party could only finish second, and over two percentage points behind UKIP. Francois Hollande’s Socialists came a very poor third in France, with the party widely seen to be elitist, out of touch and not on the side of ordinary people. In many countries in Europe voters are turning their backs on so-called ‘center-left’ parties whose policies in the most important areas differ little, if at all, from traditional parties of the center-right. Lesson #2: Russophobia is certainly no vote winner. 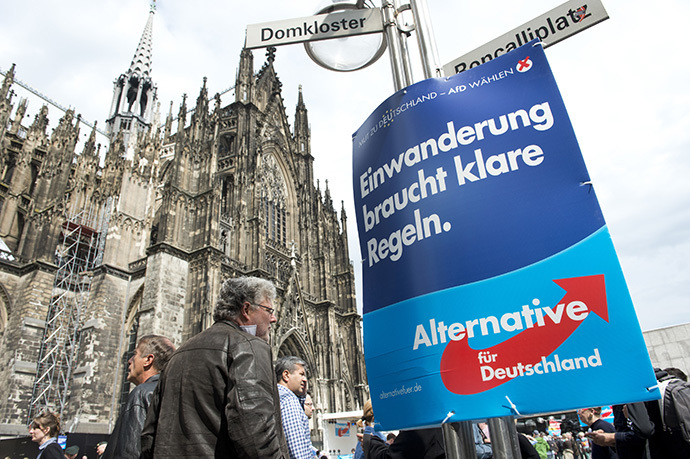 Whether its parties of the right like UKIP and the Freedom Party of Austria, or of the genuine socialist left, like Syriza in Greece or Die Linke in Germany, a noticeable feature of the election was the positive showing of parties daring to differ from the European establishment’s party line on Russia/Ukraine. Syriza leader Alexis Tsipras attacked Western policy towards Ukraine and Russia earlier this month and denounced sanctions against Moscow. Die Linke, whose level of support was virtually the same as in 2009, have said: “Our message is No New Cold War in Europe!” and have called sanctions on Russia counterproductive. In Britain, as I discussed here establishment politicians and pundits expressed their outrage when UKIP leader Nigel Farage said that the EU had ‘blood on its hands over its ‘imperialist, expansionist policy’ towards Ukraine. Farage was attacked by the establishment gatekeepers when he said he admired President Putin and he was even scolded for appearing on RT. The ‘Shut up, you can’t say that!’ brigade expected that highlighting Farage’s ‘extreme’ and ‘outrageous’ comments on Ukraine would damage his party’s electoral chances: in fact UKIP with its ‘pro-Putin’ leader ended up topping the poll. What, I wonder, will it take for elite Russophobes to understand that their anti-Russia and anti-Putin obsessions are not shared by ordinary members of the public? 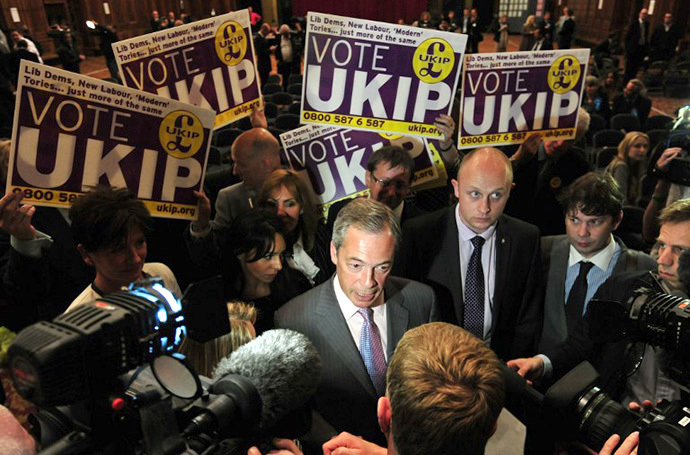 Lesson #3: UKIP will pose a major threat to the traditional leading parties in next year’s UK’s general election. For the first time since 1906 a party, other than the Conservatives or Labour, garnered the most votes in a national poll in the UK. UKIP took votes off the three traditional parties across the country and those ‘pundits’ who dismissed them as a ‘flash in the pan’ are now looking rather silly. The Conservatives’ best (and some would say only) chance of remaining in power after the 2015 general election would be to ditch leader David Cameron and elect a more Euro-skeptic leader who could cut an electoral deal with UKIP. It is clear that Labour must change its policy on Europe too, and agree to give the British people a referendum on EU membership, plus adopt more populist left-wing positions in a variety of policy areas in order to counter the growing challenge from UKIP. The Liberal Democrats look dead in the water and even a change of leader is unlikely to be enough to revive their fortunes given their espousal of unpopular policies in a number of areas. Lesson #4: Europe’s Liberal Parties are in crisis. In Britain support for the Liberal Democrats slumped to 6.69 percent and the party now has just one MEP. Across the continent, it was a similar story for other liberal parties. Germany’s Free Democrats, who polled almost 11 percent in 2009 saw their support slump to just 3.5 percent. Romania’s opposition liberal leader Crin Antonescu has already resigned following his party’s poor performance. In Britain, Liberal Democrat leader Nick Clegg campaigned on an unequivocally pro-EU platform and look where that got him. Lesson #5: Establishment media is nowhere near as powerful or influential as it once was. Across Europe the ‘plebs’ were warned against voting for ‘extreme’ parties of left and right, but in the end many did just that and stuck two fingers up at condescending elite pundits who tried to tell them what to do. 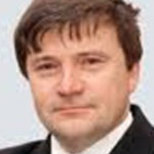 The experienced political commentator, Peter Oborne, noted in relation to UKIP and Nigel Farage that: ‘Several newspapers, above all the Times, have run vendettas or smear campaigns,’ but such campaigns backfired spectacularly, with UKIP topping the poll. The days of people reading leader articles in ‘serious’ newspapers for advice and guidance on who to vote for have thankfully gone – we’ve now got a much wider range of media outlets to consult and the internet too from which to gather information. Lesson #6: Mind the democratic deficit – it really is massive. The low turnout of 43.09 percent, which was only 0.09 percent higher than in 2009, and the low polling for many traditional governing parties shows us the big disconnect between European citizens and their political leaders and the lack of enthusiasm for the EU generally. In Britain just 36 percent voted. If you think that’s poor, in Slovakia a mere 13 percent went to the polls. The fact is that if it is to survive, the EU needs a major democratic overhaul. But are the Eurocrats, who have shown time and time again how they love to put their heads in the sand and ignore the views of the public on issue after issue, listening? Lesson #7: Austerity isn’t working. Or, rather it may be working for the 1 percent (as the need for government cuts in spending is used as an excuse to privatize remaining publicly-owned assets), but it clearly isn’t working for the majority. Unemployment rates in many European countries are horrific and it is the state of European economies which is at the heart of this anti-Establishment backlash and is the reason why so many on the continent feel nostalgic for the sixties and seventies when countries enjoyed rising living standards, high growth rates and low unemployment. As Alexis Tsipras, the leader of Syriza has said, this weekend’s election results showed that ‘the people of Europe condemned the policies of austerity.’ While our leaders can’t turn the clock back thirty or forty years, they could and should break with the current polices which have done so much damage to the living standards of ordinary people. If they don’t, then we can only expect more unrest and support for parties that do offer radically different economic solutions to rise further. Lesson #8: Labeling populist, anti-immigration, right-wing parties ‘racist’ won’t stop their rise. Schofield is right. Establishment politicians and pundits have for too long sought to counter the rise of populist parties of the right, or far-right, by simply labeling them ‘racist’ and expecting that branding them in such a way will be enough to stop people from voting for them. Although it may be true that some of these right-wing groups are indeed racist (and of course all genuine racism must be condemned), the trouble is that the word ‘racist’ has tended to be overused in recent years and consequently no longer has the effect it may have once had. Many regard it (like overused and misapplied charges of ‘anti-Semitism’ and ‘extremism’) as an attempt by establishment gatekeepers to narrow the parameters of acceptable debate, and have noticed that it has been used selectively by these gatekeepers to target those who threaten elite interests. Furthermore, it is not directed against genuine racists, anti-Semites or extremists whose interests happen to coincide with those of Western elites e.g. far-right, Neo-Nazi anti-Russian groups in Ukraine, Western-backed Libyan ‘rebels’ in 2011 who targeted black Libyans and sub-Saharan Africans, or Al-Qaeda linked ‘rebels’ who target people of different faiths in Syria. It’s clear that the labeling of certain populist right-wing European parties as ‘racist’ by establishment figures not only won’t work, but may actually make more people vote for such parties, as they are able to portray elite attacks on them as a badge of honor and proof that they are upsetting all the right people. Lesson #9: The Greens are still a political force. The Greens don’t get much media coverage, but despite that they did well in a number of countries. In Austria they increased their share of the vote by over 4.5 percent from 2009, and now have three MEPs from that country. In Sweden, the Greens finished second with 15.30 percent. In Belgium the Green vote rose from 4.9 percent to 6.51 percent. In Britain the party finished fourth and managed to beat the Liberal Democrats. Lesson #10: In an age of bland, robotic, identikit politicians who are always ‘on message’, being charismatic and outspoken is a huge vote winner. People are voting for populist parties of the left and right across the continent, not only because of their policies but also because the leaders of these parties are usually more charismatic than the more pompous and boring leaders of ‘mainstream’ parties who are terrified of saying the ‘wrong’ thing. In Britain few would surely argue that Nigel Farage, along with George Galloway, the leader of Respect, tops the political personality stakes. People are tired of politicians who look the same, sound the same and espouse the same policies: people who never dare to express any opinion that strays outside the very narrow parameters set by the whips. Any party that espouses anti-establishment policies in Europe today and has a reasonably charismatic leader who looks and sounds different from other members of the political class, and who is not afraid to say exactly what he or she thinks, is going to attract plenty of support, even if such a leader is routinely branded an ‘extremist’ by the ‘Shut up, you can’t say that’ brigade. If Europe’s mainstream parties want to fight back against the tide, they not only need major policy changes, but they also have to elect leaders who act and sound like normal people and who have engaging personalities. Or is that too much to ask for?